In Chinese Medicine there are four pillars of health. A good practitioner will start from top and work down, guiding the body to heal itself. Chinese Medicine is all natural, using your body’s immune system to help heal itself. There are no side effects or complications from complicated drug interactions. It may take longer, but the benefits are well-worth it! 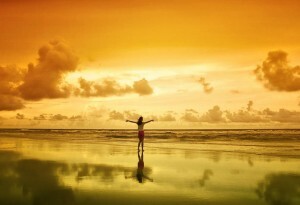 When the spirit is calm and the heart taken care of, health will persevere. What we put in our bodies is incredibly important. What our bodies need and do not need affects the function of organs, blood, qi, and essence. 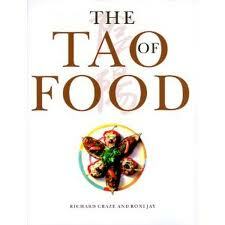 Books I recommend: The Tao of Food by & “Healing with Whole Foods” by Paul Pitchford. Sour (Liver/Gallbladder): Generates fluid and Yin, astringens, controls perspiration and diarrhea. Avoid with chronic pain as sour goes to the nerves. If Liver is affected avoid pungent foods. Bitter (Heart/Pericardium/San Jiao/Small Intestine): Clears heat, sedates, and hardens. Good for damp heat and rebellious Qi. Avoid with bone disorders as bitter goes to the bones. If Heart is affected avoid salty foods. Sweet (Spleen/Stomach): tonifies deficiencies, balances, moderates, stops pain. Avoid with muscle problems as goes to the muscles. If Spleen is affected avoid sour foods. Pungent (Lung/Large Intestine): Scatters and expels pathogens. Avoid if Qi deficiency as scatters Qi. If Lung is affected avoid bitter foods. Salty (Kidney/Bladder): Flows downward, softens hardness (cysts/tumors), treats constipation and swelling. Avoid if blood deficient as dries blood. If Kidney is affected avoid sweet foods. As supplements when nutrition is inadequate. Herbal formulas can combat many problems including menstrual irregularity, digestive issues, pain, and colds amongst others. An aid in moving the qi and using the body’s own immune system to correct itself. Acupuncture treats the cause not the symptom. Conventional medicine may be fast acting but it has side effects; acupuncture uses the body’s own immune system to repair itself, it may take longer, but there are no side effects.